My aunt, Helen Bulak, boarded the M.S. 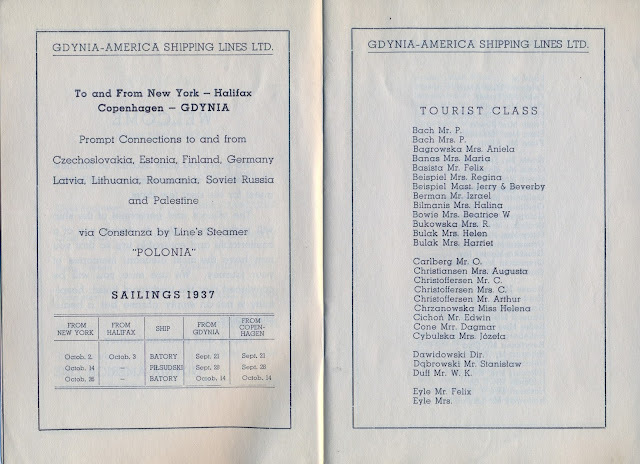 Batory on September 21, 1937, sailing from Gdynia Poland to New York. 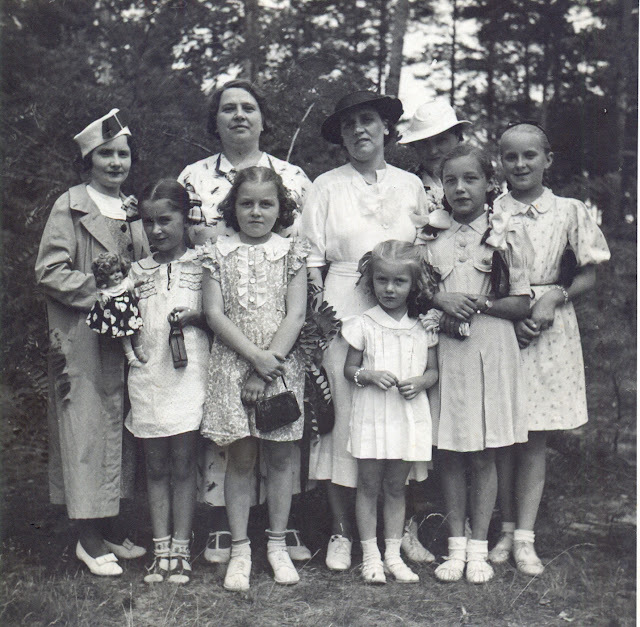 Her traveling companions, Katherine [Kazimiera] Gralicka [Gralicki] and Katherine's two daughters Alice [Alicia] and Danuta [Diana], and Katherine's sister, Boleslawa Pomianowska [Pomianowski] were also on board and heading back to the States. The M.S. Batory was another ship on the Gdynia-America Line and the sister ship of the M.S. Pilsudski. 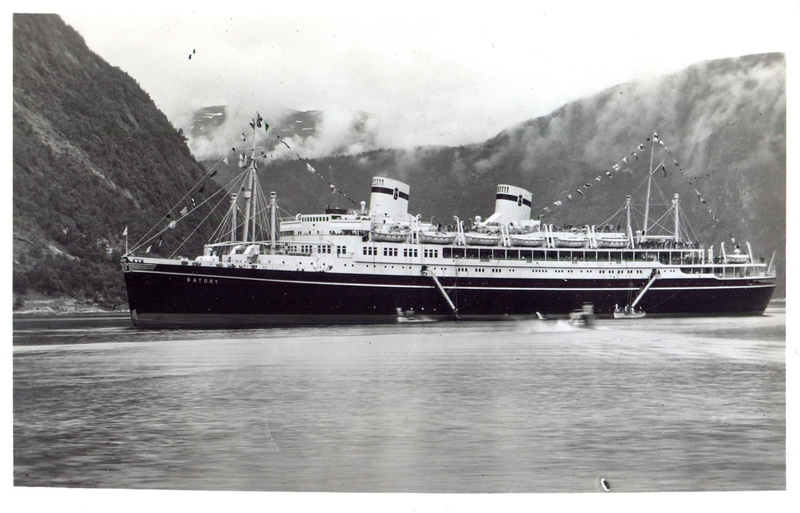 The Batory launched in July 1935 and remained in service until June 1971. 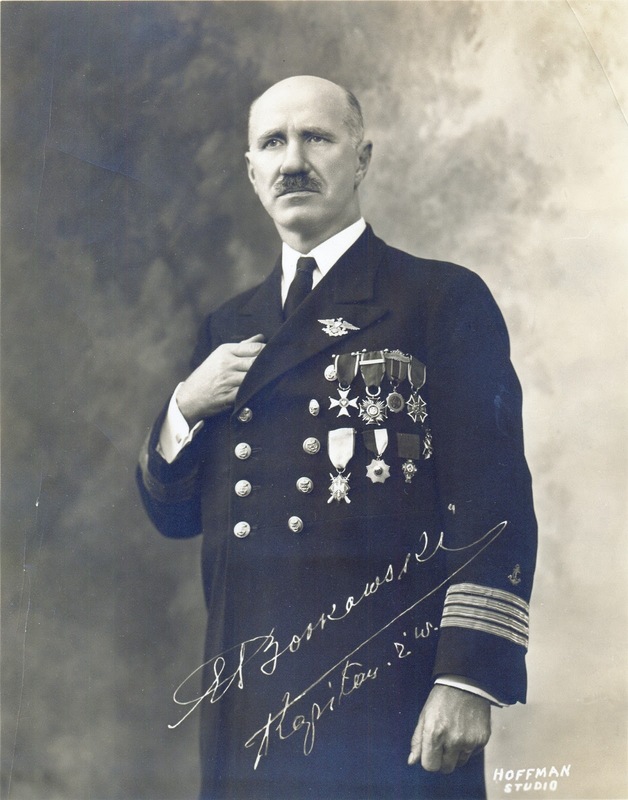 Eustazy Borkowski was the ship's captain at the time my aunt's voyage. You can read more about the M.S. Batory and Captain Borkowski here and here. 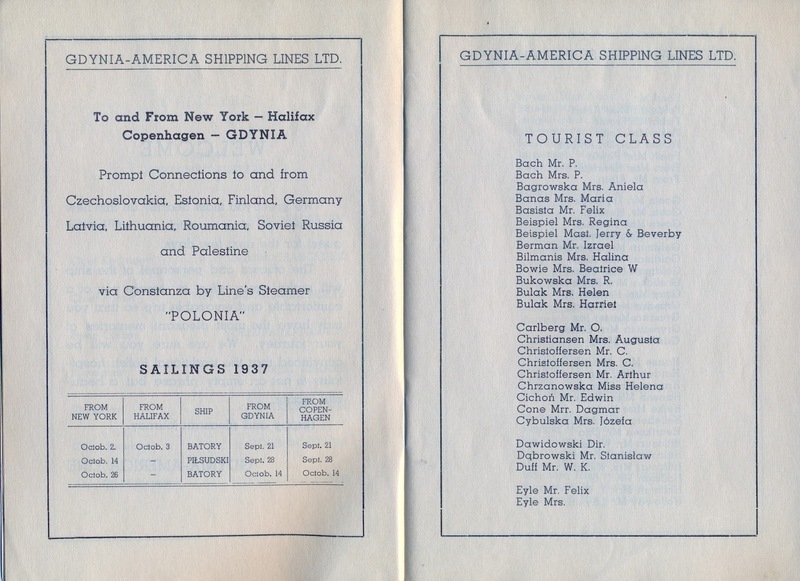 I have the complete passenger list for the September 21-30, 1937 sailing of the Batory which I hope to post in full at another time. I'm happy that after your arrival there you get introduced with all local customs. Getting up early morning is not that bad and will give you a chance to get to know town of Truskawiec Zdroj [Truskawiec Spa] and neighborhood area. Morning air is also good and there is something to breathe in. You learn that, Mrs. Helena, on your first day of staying there. So take as much of this air as you can, in your lungs, in your packets, fold all of your dresses, suitcases and even in your hat. This is a treasure. The shot of this air may last for years. The lodging house in not that expensive. All kurtaksy [See * below. ], doctors, etc. etc. are expensive though. But compared to what I'm going to write about now it's nothing. Last Tuesday I received a notice that a parcel which came to Warsaw. On the other side of the notice was a comment; "The parcel cannot be released to you as an addressee because of the lack of permit issued by the Ministry of Industry and Trade." On Wednesday I went to post office to find out what is this all about. It is a heavy procedure. Clerk told me I will have to apply to the Ministry and then custom fee at the post Office. I asked how much this will cost. Custom fee about 110 zloty plus fee at the ministry for the total of about 150 zloty. The clerk told me it not worth it to pay for that parcel and is better to send it back. I agree with him. Adolf will have to pay only for return postage. There is also another thing. 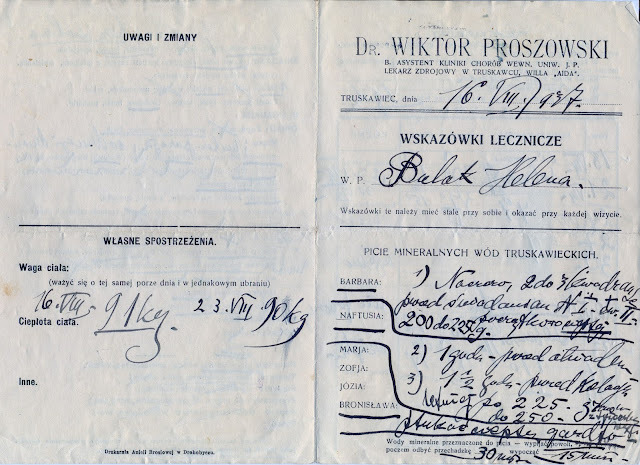 Adolf wrote a note if the parcel is not accepted by us for any different reasons the notice to be sent to aunt Julcia [Julia Bielska] and she will have to pay for all the fees if she wants to pick up that parcel. If she would decide not to pick it up the parcel will be sent back to America. But I didn't stop there and I went to another clerk. He explained to me if aunt Julcia would apply for proof of poverty the Ministry may release the parcel with that much fees but all the things inside must be used. If the things inside are new she would have to pay not matter what. I have to go to visit aunt Julcia and explain her everything so she would know what is going on. Also I will be waiting for your opinion about it. In my opinion we should send back this parcel. The only cost involved would be postage fees. To pay all the fees is a lot of money. For this money a lot of things could be bought. This parcel weigh 4 kilograms [approximately 8.81 pounds]. That is all about the parcel. For the past three days I'm home alone. My lady [Leokadia (Szymanska) Szerejko] went to Zakopane with Celina [Gzell] and son-in-law [Roman Gzell]. They have a vacation now and it just happened Orbis arranged three day trip so they decided to use this opportunity and they persuaded my lady to go with them. They are coming back Monday morning. The weather in Warsaw is cloudy. I haven't received second letter from America yet. Today, on Saturday, I'm going to aunt Julcia to talk to her about about the notice she is going to receive about the parcel. I'm ending my letter now and wish you Mrs. Helena nice and healthy time. How do you like "Naftusia?" Is it 45 degrees? In Warsaw you didn't even try to have one drink of naftusia and there you have to drink a lot. When they found out in America about this they will be wondering what's happened with Mrs. Helena. In the morning "Naftusia' and in the evening "Barbarka." Adolf and Antosia will think she found some Barbarka and maybe that Barbarka is wearing pants but you Mrs. Helena will explain them everything when you return to America. When we meet at the train station I will probably receive slap in the face for writing things like that. There is nothing I can do. I'm rested, I'm writing this letter in the morning. I'm healthy, I have a good sense of humor and I'm home alone. The pen is writing itself, I don't have to use inkwell and if I wouldn't have to leave now I would continue to write. I kiss your hands and waiting for reply. 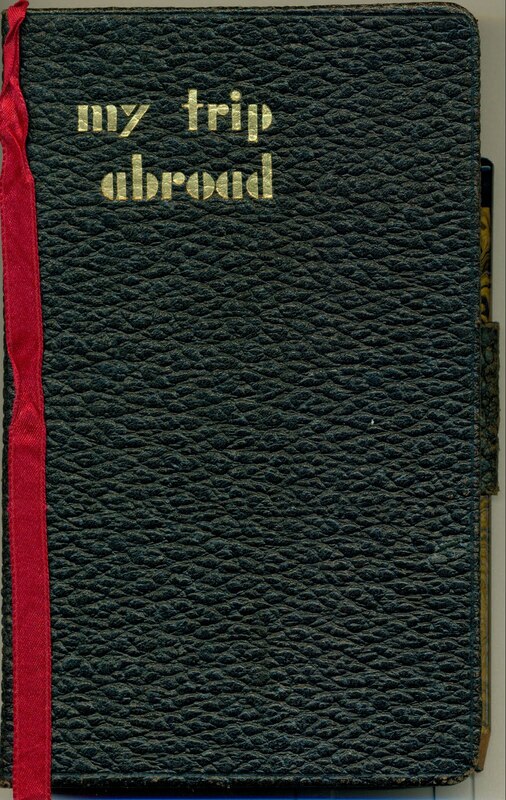 The last entry in my Aunt Helen Bulak's travel diary is for August 16-30, 1937. 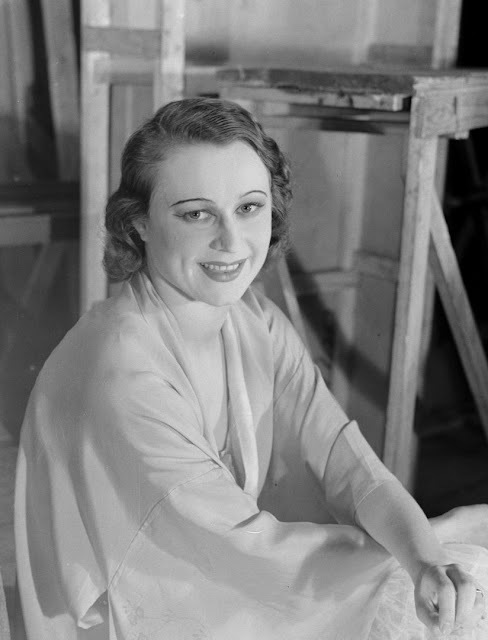 The fact that Feliks Szerejko wrote to her at Truskawiec Zdroj on September 21, indicates that Aunt Helen was in Truskawiec for a good long time. According to her diary she arrived on August 15 and may have been there until mid September. The letter was written and date stamped by the postal service on September 21. You have to figure it also probably took at least a couple of days for the letter to travel to it's destination. The conundrum regarding the package that was sent from America is an interesting one. My aunt's travel diary has a printed travel information section that lists foreign currency exchange rates. According to the diary, the rate given for the zloty at the time was 18.80, approximate value in U.S. cents. I did a bit of calculating and figured the cost to retrieve the package at the custom fee of first 110, then 150 zloties would come out to $20.68 and $28.20 respectively. Figuring inflation, the cost of retrieving the package would be $356.63 at the $20.68 and $486.31 at $28.20 in 2017 dollars. I would have sent the package back, too. *The word kurtaksy is an interesting one. I looked for it in my Polish dictionary without luck. I also popped it into Google Translate, and nothing. I did a Google search, and it came up in the Dictionary of Polish edited by Witold Doroszewski, or Slownik W. Doroszewskiego, which was published in ten volumes between 1954 and 1969. According to Wikipedia, Doroszewski's dictionary was the most comprehensive dictionary of the Polish language at the time it was published. You can read more about the dictionary here. Kurtaksa is an obsolete term for a fee for a stay at a place of treatment, maybe at someplace like a spa. Given kurtaksy is an obsolete term, that probably explains why I wasn't able to find it in the places I usually look. Naftusia and Barbara, or the diminutive Barbarka, are different types of waters at Truskawiec Zdroj. You can read more about them in a previous post here. Major thanks to my cousin Marek for his translation from the Polish. If you would like to get a sense of the talents of Jerzy Czaplicki and Loda Hamala check out these YouTube videos, here for Jerzy Czaplicki and here for Loda Halama. I couldn't make sense of all of the Polish in this one. Was Lwowskie przyslowie a song? I also looked for info on Horadyszcze. I found mention of a number of towns in Poland with that name, but none of them seemed to be in context with anything in or near Truskawiec or Lwow, at leaset as far as I could figure out. Maybe it was a shop where my aunt stopped in for the cookies and coffee? If you can shed light on either Lwowski przyslowie or Horadyszcze, please email me. I'd love to hear from you. Mass in Konstancin and / 40 hrs. devotion / After dinner packed and / went to Warsaw for Szerejkos / After supper went to / station. took train @ / 10.45 P.M. to Truskawiec Zdroj [Truskawiec Spa] / arrived Monday @ 10.50 A.M. / Met a couple on train / and directed me to the / Pensyonat Dom Wypoczynkowy [Guesthouse Recreation House] / Rodziny Urzednicy [Families Officiers] / Ul. Stoneczna [Sun Street]. / After dinner went to the Dr. Wiktor Proszowski gave / me daily Routine. / After supper went walking to / Park. and @ 10.30 bed. 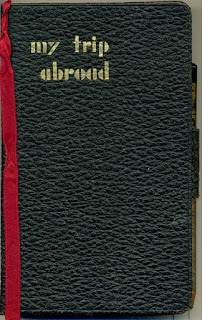 (Therapeutic Routine in the Collection of Cynthia Shenette; Text Copyright (c) 2017 Cynthia Shenette) One of the more interesting things about going through my Aunt Helen Bulak's travel diary and accompanying material methodically by date is it's given me a chance to put materials in context. I always wondered what this piece of paper was, and why my Aunt went to the doctor in Poland. Once I figured out she went to a mineral water healing spa, it put everything else in context. 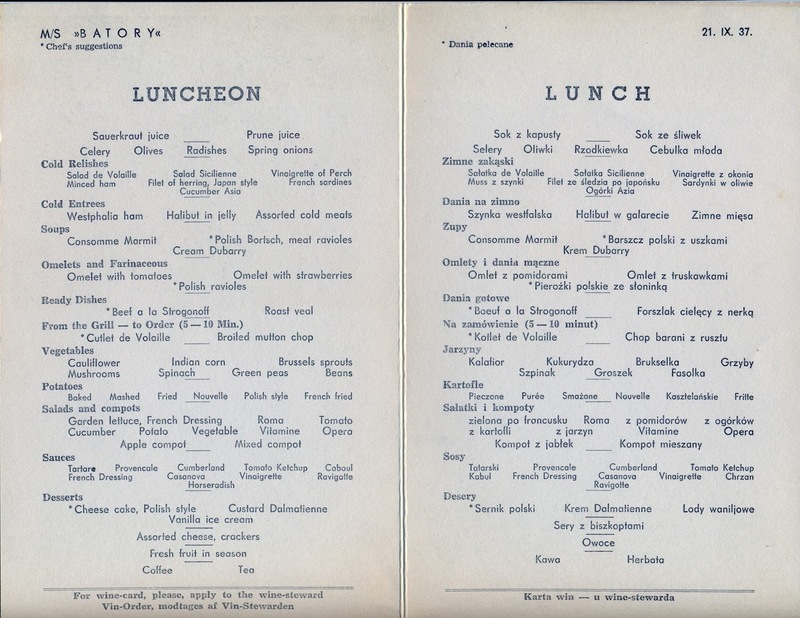 Under the heading "Picie Mineralnych Wod Truskawiekich [Drinking Mineral Waters of Truskawiekich]," I believe are recommendations for drinking at the various waters in Truskawiec, the fountains Barbara, Naftusia, Marja, Zofja, Jozia and Bronislawa. At first I thought they were names of women, then figured out they were mineral water fountains / locations. The flyer also gives therapeutic indications on mineral and mud baths, including the type of bath as well as the temperature. 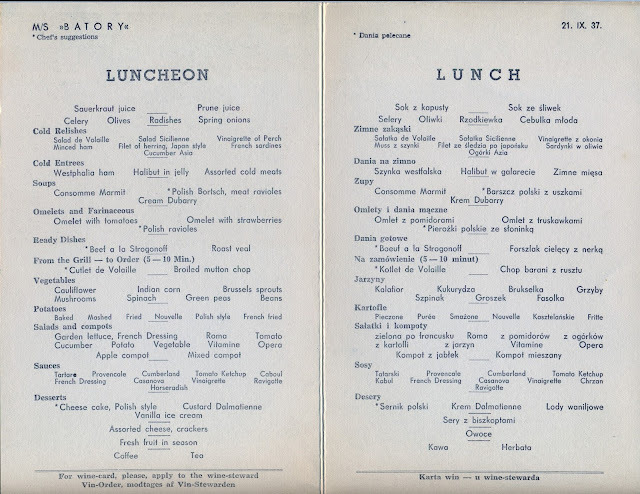 Also listed are a page of diet choices. 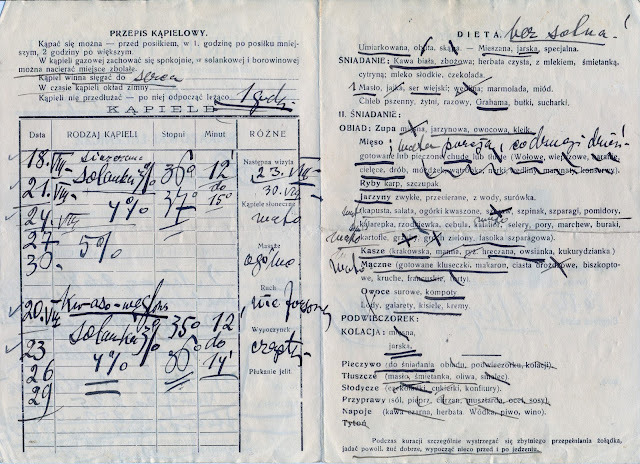 I'm guessing the things on the diet page that have been crossed out are the foods Dr. Proszowski recommended my aunt avoid. 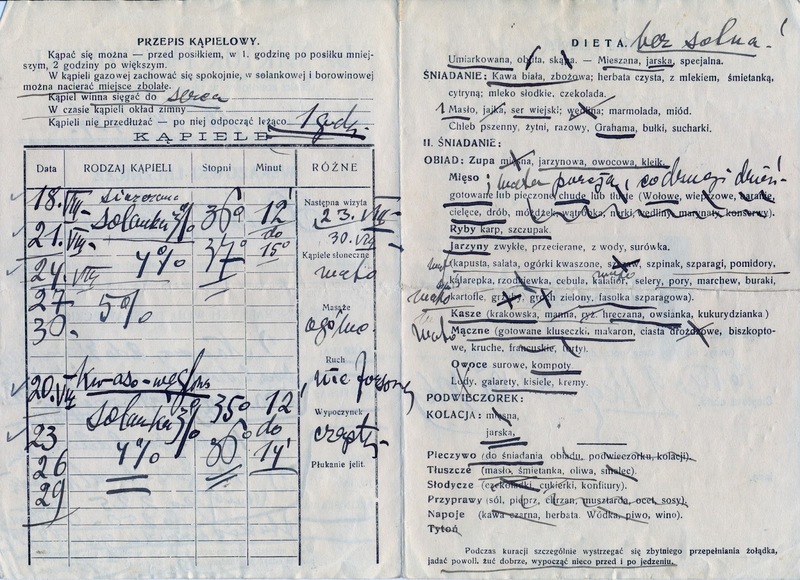 There are only a couple more travel entries in my Aunt's diary, so the dates on the page indicating Przepis Kapielowy [Bath Recipe] give me a hint that my aunt may have remained in Truskawiec through August 30, 1937. I'd love to do some additional analysis on this document for fun, perhaps at a later time. If you read Polish and can shed additional light on Dr. Proszowski's recommendations or Truskawiec during the 1930s I'd love to hear from you! With occasional trips to Warsaw. 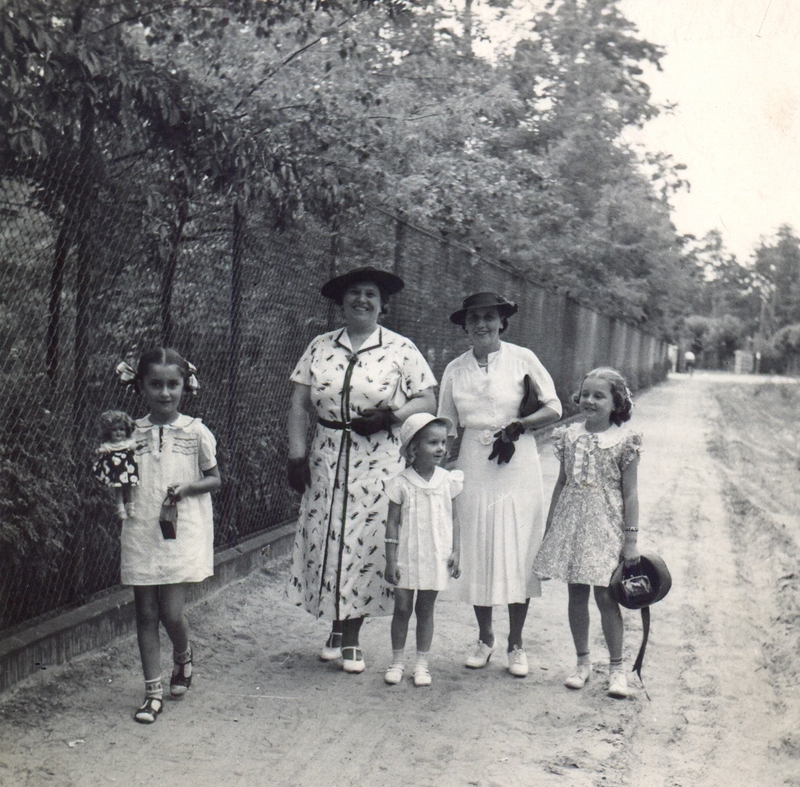 After dinner bus to Warsaw / Katherine + children Irene / daughter. 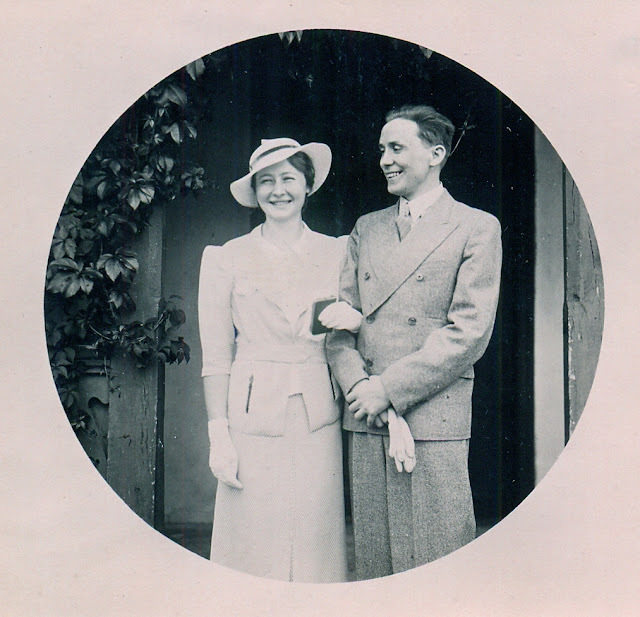 Tadzio [Pomianowski] + Halina [Pomianowska] / took train to Buczacz @ 3.50 / saw them off with flowers / later went shopping then to / R.P. [Pomianowska?] had tea and back to Konstancin. List of Persons Whose Names Have Been Changed in Massachusetts. 1780-1892.